The issue of migrants from Africa attempting to make their way to Europe has been on the front pages of the continent’s various newspapers, and it’s no secret that, as summer brings warmer weather, the surge of migrants risking life and limb on the journey to a better life will again kick into high gear. This is a problem that Europe cannot ignore, even less now than in previous years. But are Europe and the Commission living up to their clear moral responsibilities to these migrants? The scope of the problem is gargantuan. There are more than eighteen million displaced persons and refugees in Africa, the highest this number has been in history. Eight armed conflicts have begun or intensified since 2010, resulting in a seventeen percent spike in the number of refugees and displaced persons in Sub-Saharan Africa, per UNHCR. One significant source is Yemen, where Houthi Shia rebels overthrew the Yemeni government last spring. Saudi Arabia responded with an unrelenting rain of steel, and thirty-five thousand people fled the country as a result. Now most of those refugees are stuck in camps in Djibouti, where grinding poverty is the norm, human rights are a myth, and the only thing keeping the population from hanging government leaders from lampposts is the sensory-dulling effects of khat. Although the problem is massive, there has been some movement in the right direction to address it. In late May, the World Bank announced that it has made available $175 million in loans to alleviate the burden of forced migrants to countries in the Horn of Africa. The organization boasted having earmarked $100 million for Ethiopia, $50 million for Uganda, $20 million for Djibouti, all at low or no interest (as if it is some sort of noble gesture to charge only a little interest on loans to help refugees!) as well as tendering a $5 million grant to the Intergovernmental Authority on Development (IGAD). For its part, the EU has pitched a little in the hat as well. Migration Commissioner Dimitris Avramopoulos indicated that aid to war-torn regions like Jordan, Libya, Ethiopia and Nigeria could reach $70 billion. However, some portion of the funds are to be used for border surveillance equipment, police training and other technical support to stop migrants heading north onto the continent—all traditional outlets for money grubbing elites never afraid to syphon cash from the defense budget. How funding more of such measures is intended to help migrants is unclear. Nigeria’s army and police force is accused by Amnesty International of committing war crimes against its own people, including 8,000 victims “murdered, starved, suffocated and tortured to death”. Uganda’s military is a byword for corruption, while Ethiopia is among the worst offenders in the world for press freedom. Even pocket-seized Djibouti has a near-encyclopedic record of human rights abuses that will only grow after President Ismail Omar Guelleh signed a deal to host a massive Chinese military base on its territory. One wonders if the aid package is simply part of a wider effort by the EU to keep refugees off the continent. Just days ago the EC promised a “results oriented” approach to the problem by paying off African governments if they’d just do a better job keeping their refugees at home. Clearly the result the EC desires is to keep the problem at arm’s length, essentially giving billions of euros to the same corrupt and abusive dictators that pushed people to vote with their feet and leave. Countries like Eritrea and Sudan are already under sanctions for significant and widespread human rights abuses, while Djibouti is being investigated by the International Criminal Court—what guarantee can the EC give that its money won’t go to fund even more of the same? The answer is that Europe simply can’t guarantee its money will stop human rights crises. At best, it will simply force migrants to trade one hell for another. The dirty deal struck between the EC and Turkey is proof enough of that—although the Eastern Mediterranean is now basically off-limits to migrants, the arrangement has simply moved the trail west. Now migrants face a much higher risk of a watery grave in the Central Mediterranean, which is quite possibly a more dangerous trip than the one to the east. Thousands died attempting the trip last summer. Seven hundred souls perished there in the last week of May alone. 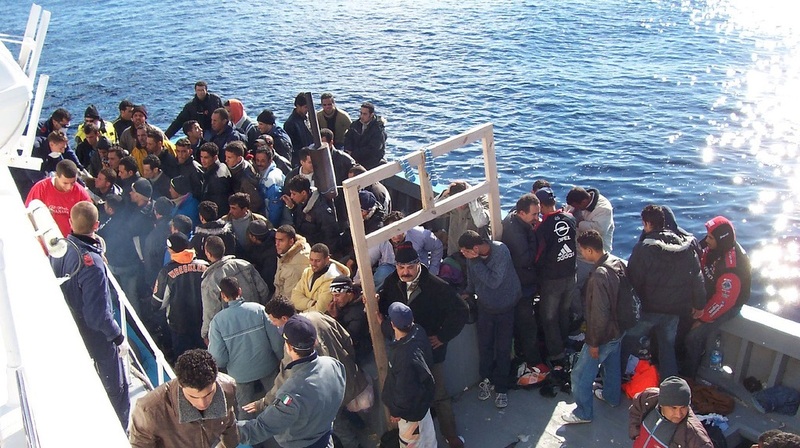 Another eight hundred thousand are waiting to make the same trip in Libya, which has no central government to speak of after the United States and its cohorts overthrew Muammar al-Qaddafi in 2011. Proposing to bribe that country’s central “authority” into implementing stricter border controls borders on folly. Erecting more barriers to migrants is a front-burner issue for the EC, likely because of the announced closure of the Daadab and Kakuma refugee camps in Kenya – a move that has been roundly condemned by human rights groups around the world. Closure of these camps will leave over half a million migrants looking for a new home, which certainly has just about every member of the EC shaking in his or her respective boots. Meanwhile, hundreds of thousands of our fellow humans wait. They wait after fleeing horrors in their own countries that would make Dante’s nightmares wilt. They wait, considering whether the very real possibility of death is worth facing if there is even the slimmest chance of washing ashore on the beaches of a land offering them the kind of hope and opportunity they didn’t dare dream of in their home countries. They wait, as the self-important leaders of Europe decide whether political expediency has a higher value than that of human life.